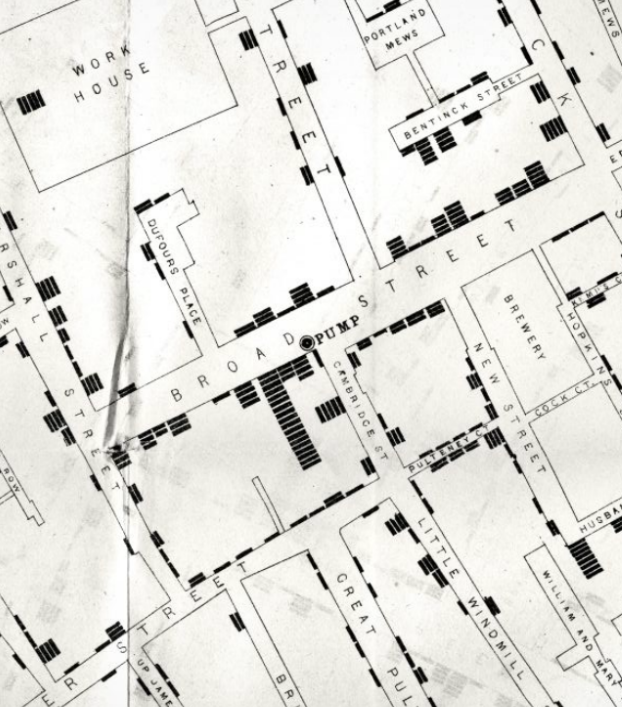 After the spread of cholera in 1854, John Snow decided to map the deaths around London’s Broad Street. The fact of linking the reported cases after the outbreak to the location of the dead’s houses proved that they had a strong link to a public drinking water pump. Those who had used that pump had a higher chance of contracting the disease. This primitive spatial analysis took to pieces the theory that cholera was connected to pestilent air rather than drinking waters infected by sewage. And as a matter of fact, it led to stop the practice of simply draining human wastewaters into the River Thames, which was to be drunk later by citizens. Charting unnoticed relations reveal a hidden city visible. 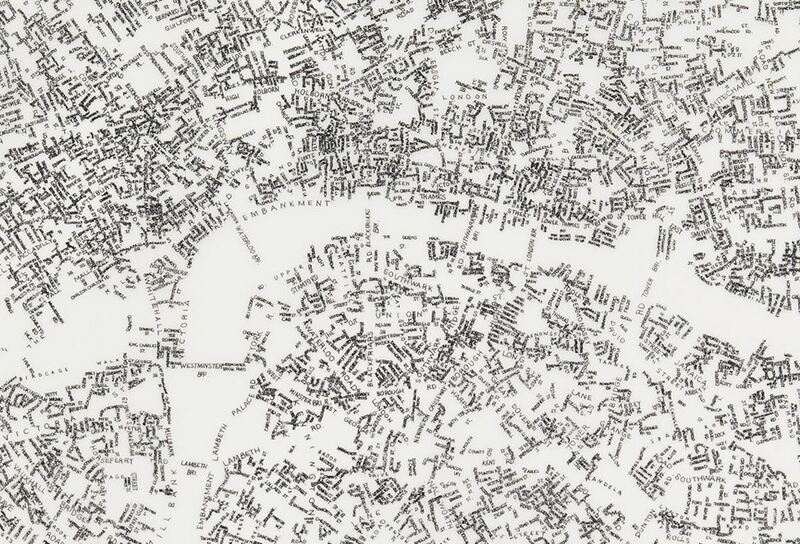 For Simon Elvins in his map Silent London, black dots represent the most peaceful spaces in the city according to government measurements, whereas noisy areas fade into blank voids, and vanish. He applies the same principle to his other version, similar to Braille codification in its form. 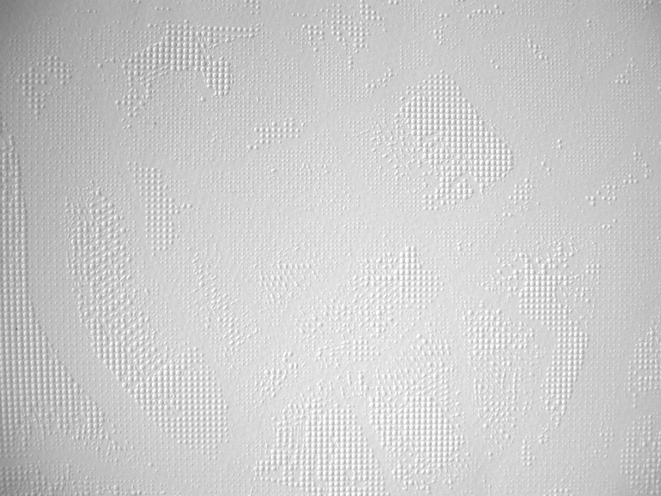 Sound levels alter the two dimensional paper and silence is associated with higher dots. Our reading finger can only perceive the quietest areas in the city. Snow dealt with deaths and Elvins with silence as passwords to access an encrypted city. But street limits can also be replaced by words. Layla Curtis deletes any spatial references in her London Index Drawing. Street names configure space and its density. Words overlap and stretch and it is still easy to identify the structure of the city. Automatically, one can imagine what sort of lane; street, bridge, square or mews one is travelling through with his eyes. 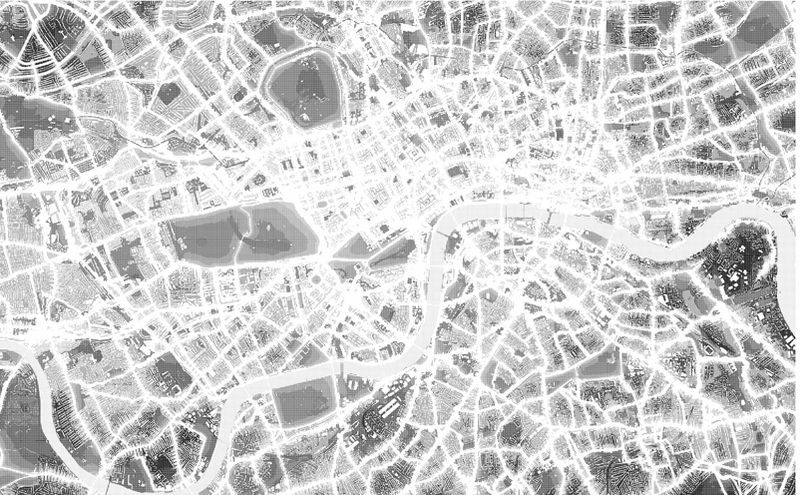 3 London mappings compiled in FOXELL, S 2007, Mapping London – Making Sense of the City, Black Dog Publishing, London. Thank you for these fascinating maps. I did not know about them before.